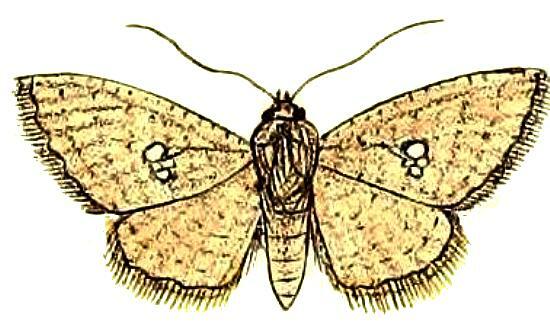 The adult moths of this species are fawn, with lots of dark spots on the wings. 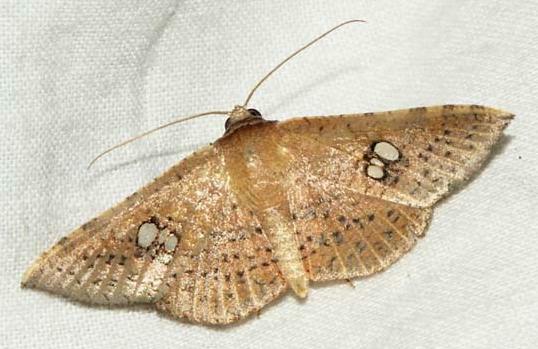 Each forewing has a group of white spots near the middle. The wingspan is up to 2.5 cms. 1882, Part 2, p. 177, and also Plate 5. fig. 16. LeapFrogOz, Kuranda, 2015, p. 210.